Happy New Year all, and welcome to 2009! 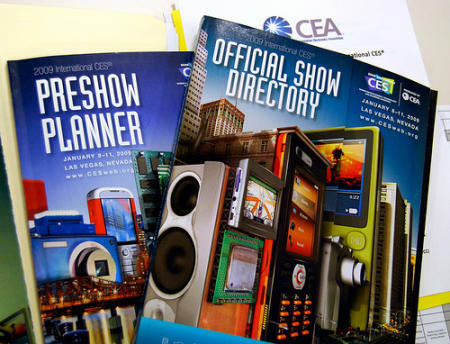 And welcome to the week of CES 2009, the annual consumer electronics tradeshow, which provides the first insight into the glorious gadgets that are on their way in 2009. To give you a taste of what’s to come, we’ve compiled this little preview of CES 2009. HDTV technology had one of its most important years ever in 2008. Prices crashed, enabling HDTVs to penetrate even more people’s homes, while the quality of the TVs improved inexorably. They got much thinner, too, down to an unbelievable 10mm thin. 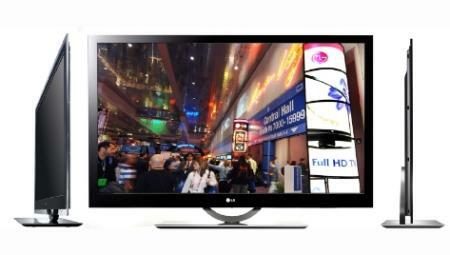 2009 is set to be an even bigger year for HDTV technology. LED TV’s are starting to make an appearance, offering even better resolution than their LCD-based brethren (but for a considerably higher price). LG, for example, will be showing off the LG W2486L LED BLU, a 24″ LED TV that offers a contrast ratio of 1,000,000:1. Not to be outdone, Samsung will be showing off its new LED TV that’s just 6.5mm thin – that’s as thin as the world’s thinnest phone was in 2006! More intriguingly, NVIDIA are predicting that 3D technology will finally take off, helped in no small part by Sony, who will be broadcasting a US college football team in 3D using technology from Cinedigm and 3ality. Another company, iZ3D, will also be showing off prototypes of their 3D TV technology, based on their existing 3D monitors. Sony’s Blu-Ray technology had a massive year in 2008, officially beating Toshiba’s rival HD-DVD technology to become the de facto winner of the high def video wars. Now that the format wars are over with, expect many more Blu-Ray players from many different companies on the stands at CES. 2009 should see Blu-Ray players come down massively in price, too, which, combined with the decreasing price of HDTVs, should enable more households to see films and video in much higher fidelity than before. Internet TV has been threatening to arrive for some time, but has usually been sold by PC manufacturers, with traditional PC-based software and hardware companies, such as Microsoft, Intel, Apple and HP, all releasing a variety of different Internet TV platforms and boxes that were built around the concept of the “media PC”. For 2009, though, CES should see a plethora of Internet TV-equipped devices that come from anywhere but the PC. For example, Blu-Ray boxes will expand beyond the solitary Set Top Box model, and will start to offer content from the Web in addition to Blu-Ray discs. LG is expected to show off a variety of Network Blu-Ray Disc players at CES that access Web-based content from CinemaNow. “As millions of U.S. consumers view and download movies or TV shows through the Internet, they are demanding easier ways to access content and more home entertainment options,” said Tim Alessi, director of product development, LG Electronics USA. “From Blu-ray to instant streaming from Netflix to CinemaNow and YouTube, LG is bridging the gap between packaged media and video-on-demand services to provide entertainment solutions for consumers’ demand for content,” he said. Another company offering Internet TV is Yahoo!, who, in a partnership with Intel, have developed an Internet TV platform that can display content from across the Web, including Flickr (images), TV shows (Hulu) and YouTube videos, all through the TV, via a dedicated channel called the Yahoo! Widget Channel. TV models featuring the Widget Channel will be on show from companies such as Samsung and Toshiba. By including Internet TV directly into the TV itself, Yahoo! and Intel have removed the need for yet another Set Top Box or an ugly PC in order to get web content onto your TV. As such, the Yahoo! Widget Channel may just succeed where many many others have failed! Finally, lovers of audio may be a little disappointed at CES, as manufacturers of MP3 players tend to leave their announcements until after Apple have shown off their new iPods at MacWorld. This tends to leave the audio news restricted to new iPod accessories, which isn’t the most exciting news to report on! iRiver are rumoured to have a few new things up their sleeve, though, so we’ll keep an eye on them. CES 2009 is going to be a little bit different this year, given the credit crunch that the world is currently in the middle of. Although the major manufacturers will all be their with their latest all-signing all-dancing technology, serious doubts exist as to how many people will be able to afford all this shiny new gadgety goodness in the coming months ahead. CES itself might suffer, too, as the number of people who normally attend the exhibition are expected to be well down on last year. Individual bloggers won’t be able to afford to go, and even the bigger newspaper, media, and blogging outfits are sending fewer people in an effort to cut costs. There may, therefore, be a bit of a gloom hanging over CES this year as the realities of the new economic conditions start to kick in. However, my advice is to ignore it and focus on the gadgety goodness as a form of escapism. There’s far too much bad news in the press already, without people getting gloomy over CES as well. We’ll cover as much of the new announcements as we can over the coming week (CES runs officially from 8th Jan – 11th Jan 2009), and we’ll revel in the shiny gadgets like we always do!